Ukrainian President Petro Poroshenko has proposed that the Verkhovna Rada reappoint Pavlo Klimkin as foreign minister and Stepan Poltorak as defense minister. The respective draft resolutions were registered in the Ukrainian parliament on Tuesday. 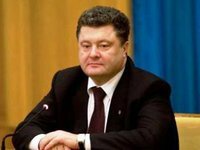 Under the Constitution of Ukraine, the president submits nominations for foreign and defense ministers to the Verkhovna Rada. Klimkin was appointed Ukraine's foreign minister in June 2014. Poltorak was appointed Ukraine's defense minister in October 2014. As reported, the Verkhovna Rada plans to approve on Tuesday the full composition of the government headed by Prime Minister Arseniy Yatseniuk.